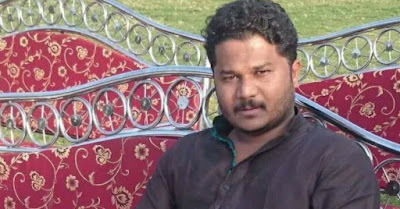 The Commonwealth Human Rights Initiative (CHRI), an influential Delhi-based advocacy group, has demanded that the Maharashtra’s Right to Information (RTI) watchdog, State Information Commission, must order disclosure of all information sought by RTI activist Suhas Haldankar of Pimpri-Chichwad, Pune district, murdered on April 2, and put all of it in public domain. The second murder of an RTI activist in Maharashtra in 2017 and the third under the present state government, it comes amidst Government of India (GoI) proposing an amendment in the RTI Rules proposed which authorizes the Central Information Commission (CIC) to close a case upon the death of the applicant. Draft RTI Rule 12 also proposes to allow those seeking information under RTI to withdraw their application, leading RTI activists to wonder whether, taking advantage of this loophole, those seeking to expose corruption or maladministration would be threatened into withdrawing their appeals. With 16 such incidents reported since 2010 (including the latest case), Maharashtra tops the list of states with the highest number of citizens murdered for using RTI to demand transparency and accountability in governance. A total of 66 RTI activists have been killed nationwide since the Act came into place in 2005. According to CHRI, 34 RTI activists in Maharashtra “have survived physical assaults, while at least 38 other incidents of harassment or threats to RTI activists have been reported in the media since October 2005. CHRI has documented attacks on RTI activists on its website, Hall of Shame, mapping each of them on a Google Map. At least one of the accused is said to be a former corporator belonging to the Indian National Congress.